I am burning the midnight oil tonight. 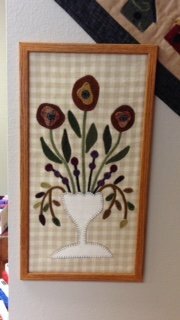 Bev and I are headed to a paper piecing class in North Platte for the next 2 days!! I am SUPER excited! 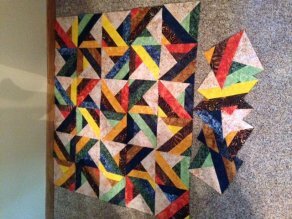 We will be working on Prairie Pinwheels by Judy Niemeyer of Quiltworx. So here is to a quick note to all of you before I head out! 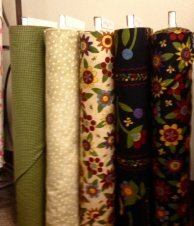 NEW in this week is a darling flannel line from Maywood Studies - Flower Patch Flannel! 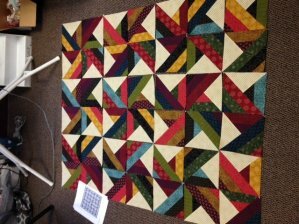 I can't wait to show you what we will make with it...now to wait on those 10" squares to get here. 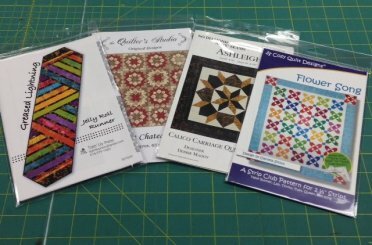 NEW quilt patterns have arrived! Some NEW ones from Villa Rosa are also in too! Join us for a NEW club - STASH BUSTERS CLUB! This group will meet on the 3rd Tuesday evening of each month starting June 17th. Come at 5:30 pm to 9:00 pm and work on any project you would like! Bust your stash, finish a UFO, or work on something new! For those who join us, you will have the chance to participate in a SURPRISE special each month - but you have to come and sew with us to take part! I promise - you won't want to miss this! Tomorrow is Woolie Saturday! Meet in the 3rd floor Training Room for a fun filled day of laughter. Don't forget the Row by Row starts this month! Well I'm off to catch some zzz's before tomorrow! Have a wonderful weekend! P.S. The Sundress pattern from Crabapple Hill will be here late next week! Eeek!